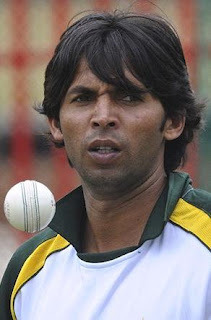 Former Pakistan Cricket Team Captain Wasim Akram has said that Muhammad Asif must play for Pakistani Team instead of Muhammad Sami in upcoming matches. He said not including Asif in first two matches was not a good decision. According to Wasim Akram Muhammad Asif can bowl really well on West Indies Pitches and he is really surprised with the decision of not including him in the team for first two matches. Muhammad Sami bowled well against Bangladesh but he now bowled well against Australia and given too much runs.